BREAKING NEWS: A serial killer dubbed “The Reaper” is cutting a swath of blood through the Midwest. Coroners’ reports indicate that the killings are done with a large, curved blade, such as a sickle or a scythe, which first inspired the nickname. Police are currently investigating connections between the victims, who are of different ages, genders, and race. The Reaper appears to be on the move, or perhaps working with several accomplices, due to the widespread locales of the attacks. The choice of weapon, though a commonplace piece of farming equipment, has caused some alarm among civilians. 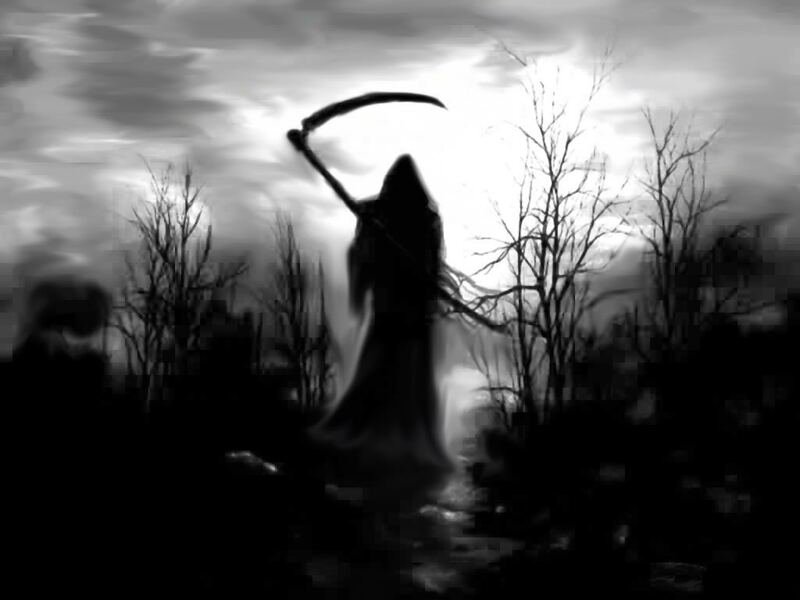 Rumors of a coming apocalypse run rampant, some saying that “the grim reaper is coming to make us pay for our sins.” Others believe that this figure of death is trying to send some kind of message, but what that message is remains unclear. In the meantime, investigations continue.